Today in Brian History: YELLOW SUB HERO! As we all enjoy the magnificent "Yellow Submarine Songtrack" - and the film on VHS or DVD (with the 6-channel surround sound if we're lucky enough to have home theater sound systems - I wish I did!) let's remember one little thing. The Beatles had not seen the point in doing an animated movie. They had never wanted to be involved in it! Several times they all said no to it. It was their manager Brian Epstein who saw the long-term potential benefits of a film which would enshrine them for children of future generations. He persuaded the doubting Beatles to commit to contributing four new songs for the project. Even after they agreed - the film was seen as Brian's folly, and the Beatles would joke that if a song wasn't "good enough for Sgt. Pepper" that they should "give it to 'Yellow Submarine.'" The (erroneous) conventional wisdom about Brian Epstein is that for all his promotional talents and honesty - he was a poor businessman for the Beatles. This judgment is based primarily on one 1964 agreement whereby a poorly-advised Epstein was ripped off by sharks in the brand-new,completely uncharted waters of mass merchandising. It effectively discounts all the other superlative work that Epstein undertook for the Beatles. It also ignores his persistence in getting the Beatles to agree to "Yellow Submarine." Coinciding with the 1999 re-release of "Yellow Submarine" - Signatures Network (formerly Sony Signatures) licensed no less than 250 new items of "Yellow Submarine" merchandising - the highest number of licensed items since the heyday of Beatlemania. With this unprecedented number of merchandising tie-ups the Beatles are confidently expected to gross in excess of one hundred million dollars just from merchandising! With income from the limited theatrical reissue, the CD, home video and DVD - industry experts are projecting a gross approaching HALF A BILLION DOLLARS from the "Yellow Submarine" project - exceeding even the success of the "Anthology." So Brian's persistence over 30 years ago will gross the Beatles hundreds of millions of dollars this year alone. Not a bad legacy for the man who was supposedly a poor businessman. So perhaps we can now lay that little nonsense about Brian's business acumen to rest for once and for all. 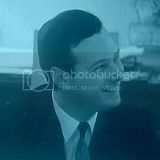 Brian Epstein is the unsung hero of "Yellow Submarine." It's too bad the man who pushed so hard for this movie, and made it possible, didn't live another year to be around to see it.